The IADIS e-Learning 2009 conference aims to address the main issues of concern within e-Learning. This conference covers both technical as well as the non-technical aspects of e-Learning. The conference accepts submissions in the following seven main areas: Organisational Strategy and Management Issues; Technological Issues; e-Learning Curriculum Development Issues; Instructional Design Issues; e-Learning Delivery Issues; e-Learning Research Methods and Approaches; e-Skills and Information Literacy for Learning. For more information please visit the conference homepage at http://www.elearning-conf.org/. eLearn Magazine compiled a list of predictions for 2009 by different TEL "experts". I like this one by Jay Cross. Wrenching changes in business and society accompanying the global transition from the industrial age to the network economy will kill off much of the training and education programs as we have known it. In its place will arise a more natural approach to learning through collaboration and sharing. There are great times ahead, an era of fulfilling, bounteous learning unprecedented in human history. However, the journey to this promised land will be brutal and unforgiving for people and organizations who resist change and lobby for "back to the basics." 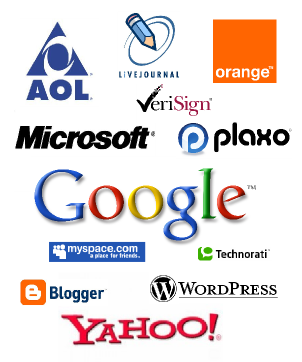 OpenID Explained provides valuable information about OpenID with a list of OpenID providers. health-related issues are more complex than I originally thought. In order to take myself out of the limelight and focus on my health, and to allow everyone at Apple to focus on delivering extraordinary products, I have decided to take a medical leave of absence until the end of June. I have asked Tim Cook to be responsible for Apple’s day to day operations, and I know he and the rest of the executive management team will do a great job. As CEO, I plan to remain involved in major strategic decisions while I am out. Our board of directors fully supports this plan. I look forward to seeing all of you this summer. The first EATEL newsletter is released and is available here (.pdf). The objective of the European Association of Technology-Enhanced Learning (EATEL) is to promote education and continuing education in the area of "Technology-Enhanced Learning" (TEL) and to support science and research in this area. - The Responsive Open Learning Environments (ROLE) project is mainly dealing with self-regulated learning and personal learning environments. I enjoyed taking part in the negotiation and writing phases of the project proposal, and working with smart young researchers like Fridolin Wild, Felix Mödritscher and Matthias Palmer and world-class researchers in TEL that I used to know from PROLEARN like Erik Duval, Peter Scott, Paul Lefrere, Ambjörn Naeve and Martin Wolpers. - The STELLAR Network of Excellence is also focussing on the challenges of lifelong and self-organized learning. The project description resonates well with many of my views of the TEL future. Innovation always has been driven by a person or a small team that has the luxury of thinking of a new idea and pursuing it. There are no counter examples. It was true 100 years ago and it'll be true for the next 100 years. Innovation is something that comes when you're not under the gun ... The creative parts of one's mind are not on schedule. That's also true in learning. Current learning models are innovation killers. They destroy the learner's capacity to reflect and innovate. There is an urgent need for new learning models that foster innovation. A fundamental shift is required toward a more personalized, open, dynamic, emergent and knowledge-pull model for learning, as opposed to the one-size-fits-all, centralized, static, top-down, and knowledge-push models of traditional learning models. My dear friend Imed Hammouda, who's doing great research in the areas of software engineering, open source systems, and social software, is organizing the First International Workshop on Building Sustainable Open Source Communities (OSCOMM 2009). This workshop will be held in conjunction with the Fifth International Conference on Open Source Systems (OSS 2009) in Skövde, Sweden, June 6, 2009. The goal of the workshop is to bring together interested academics, practitioners, and enthusiasts to discuss topics related to the area of open source communities. The workshop will offer an opportunity for the participants to share experiences and discuss challenges involved in building and maintaining open source communities. The workshop will also identify key research issues and challenges that lie ahead. The call for papers is available here (.pdf). For more information, please visit the workshop website. Please do consider submitting a paper to this very interesting workshop. A nice video by Wendy Drexler, Alex Drexler, and a group of students, in the 'Paperworks' style of the Common Craft videos, depicting the image of a 21st networked student. According to the authors, this video was inspired by the CCK08 course. I would like to take this opportunity to thank again Stephen and George for their great efforts to facilitate this course. In my eyes, CCK08 was a very successful networking event, that helped me extend my personal knowledge network with great stuff and smart people interested in the concepts of connectivim and connective knowledge. 2009 Web Predictions by the ReadWriteWeb Team, mosly about big Web 2.0 companies (Google, Facebook, Yahoo) and well-established Web 2.0 services (e.g. FriendFeed, Twitter, Digg). The Open Research Society (ORS) is organizing the second World Summit on the Knowledge Society, 16-18 September 2009, Crete, Greece. It's a honor for me to be a member of the Program Committee. The 2nd World Summit on the Knowledge Society (WSKS 2009), is an international scientific event devoted to promoting the dialogue on the main aspects of the Knowledge Society towards a BETTER WORLD for all. This annual Summit brings together key stakeholders of the Knowledge Society development worldwide, from Academia, Industry, Government, Policy Makers, and active citizens to look at the impact and prospects of the Information Technology, and the knowledge-based era it is creating, on key facets of living, working, learning, innovating and collaborating in today’s hyper-complex world. For more information, you can visit the summit homepage here or contact Dr. Miltiadis Lytras.